Situated just five minutes from Stansted Airport, the Holiday Inn Express makes an ideal destination for travellers with early morning flights. Guests can head to the on-site restaurant to refuel with a bite to eat after a long day, or simply sit back and unwind with a drink in the lounge bar. Although close to the airport, guests will enjoy a great night’s sleep in the comfortable air-conditioned rooms. Ideal for both business and pleasure travel. Lifts large enough to fit wheelchairs. Vibrating pillows for those with hearing difficulties. Located just a mile from Stansted Airport with a regular five-minute shuttle bus journey to and from the airport. Transfers cost £3.00 per adult. Children under 17 travel free. All rooms are en-suite with full facilities. PLEASE NOTE: Parking Eye has been installed at this hotel. 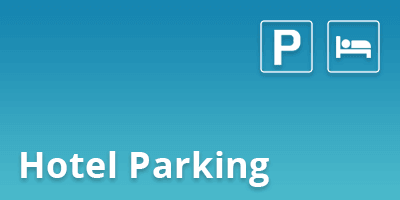 All customers parking at the hotel must register their car at reception before moving onto the airport or checking in. The hotel have no control over any fines distributed so please remember to register. Suitable for up to two adults and one child aged 14 or under, family three rooms are furnished with a standard-size double bed and a sofa-bed. Drive straight to the hotel and park with them – enjoy your stay! On the day of your flight take the hotel transfer to the terminal which runs 24 hours a day every 30 minutes, at a cost of £3.00 per adult each way. Under 16’s are free. On your return take the hotel transfer back to the hotel to collect your car. Park at I Love Park & Ride on the day of your stay and take the short walk to the hotel- enjoy your stay! On the day of your flight take the hotel transfer to the terminal which runs 24 hours a day every 30 minutes, at a cost of £3.00 per adult. Under 16’s are free. 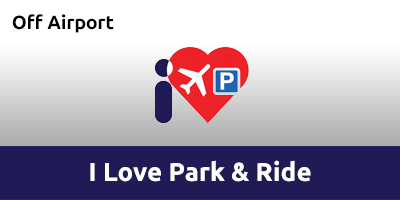 On return take the I love Park & Ride transfer back to the car park to collect your car. Exit at Junction 8A from the south or Junction 8 from the north. At the main roundabout take the third exit. Follow signs for Mid Stay Car Park and then for the hotel.